At Sunset’s Menlo Park gardens: a low maintenance, low water garden with year-round color interest. 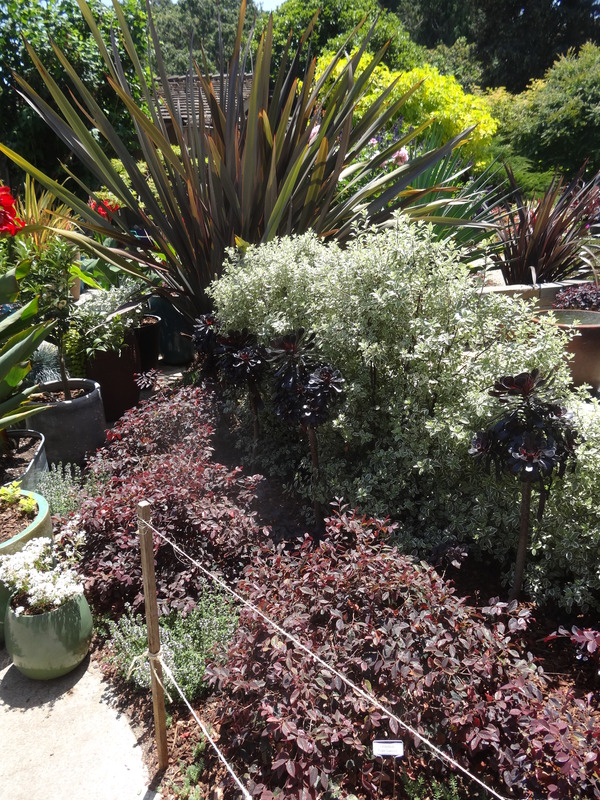 Here, they’ve used bronze Phormium, Variegated Pittosporum, Aeonium ‘Zwartkop’, Lorapetalum ‘Purple Diamond’, and silver Thyme. 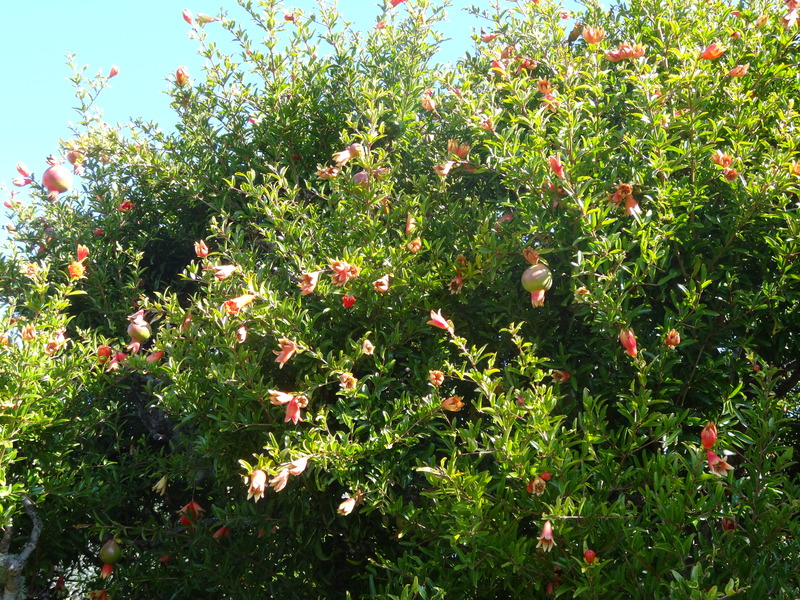 These plants won’t need much more than the occasional light pruning. The Aeoniums are a nice touch here – their forms are stunning, they add color and height, don’t take up any square footage, and soften the transition between the purple and silver. The cement, steel and celadon ceramic containers continue the color theme and can be moved around as needed.